Day# 21: What About Pins? When was the last time you pinned yourself? 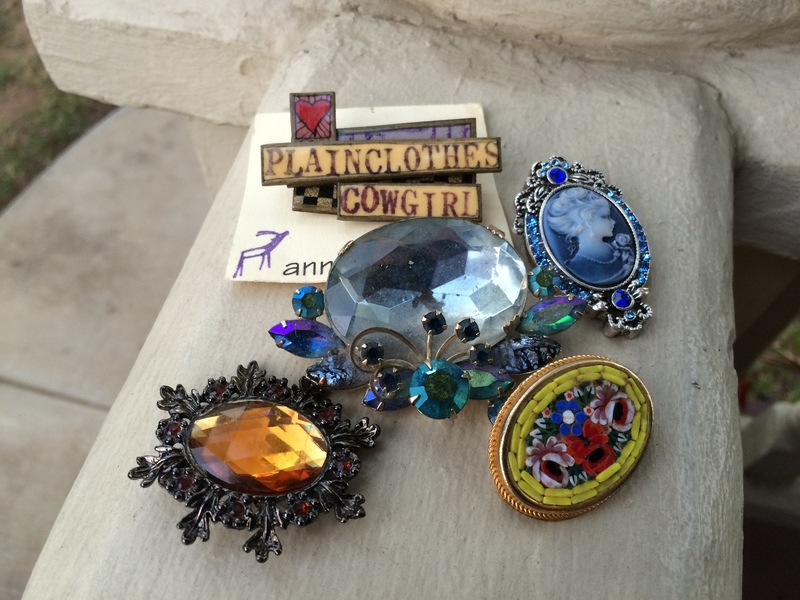 I wear tons of scarves, love them, and I think they always finish off my outfit, but let’s revisit pins. I don’t ever remember my grandmother wearing a dress and not wearing a pin. For that matter, I can’t remember my grandmother not wearing a dress. But the pin always made a statement. Maybe a mood, a memory, or just to add a little oomph. I found a few pins I have in my jewelry connection and tried to imagine them on some of my favorite outfits. Maybe to cover a stain? Maybe to close a vneck that has plunged a little too low? Maybe just to start a conversation. It’s good to rethink things from time to time. I LOVE that idea Krista! We so need to accessorize more. Adding that final touch just makes an outfit. Next Next post: Day # 22: What to Do?